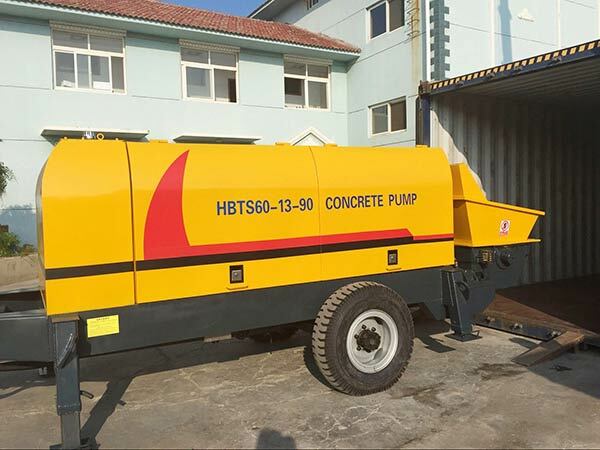 Mobile concrete pump for sale could move conveniently on the work sites, and capable to pour concrete on the floor. It has high working efficiency that is more than 10 times of manpower . 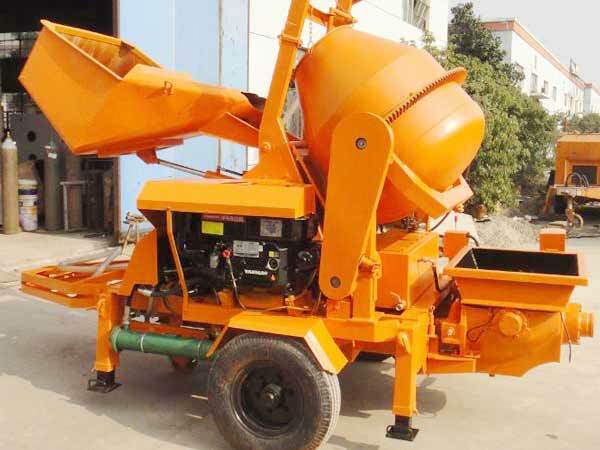 At the same time, mobile concrete pump has simple design and is easy to operate. 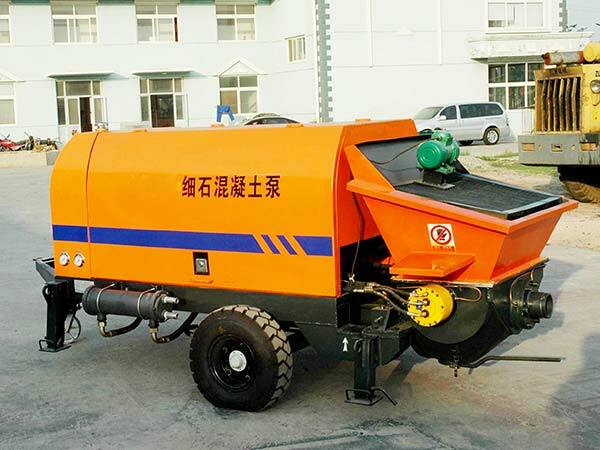 Mobile concrete pump has large output of concrete so that it could increase production efficiency and reduce labor cost. 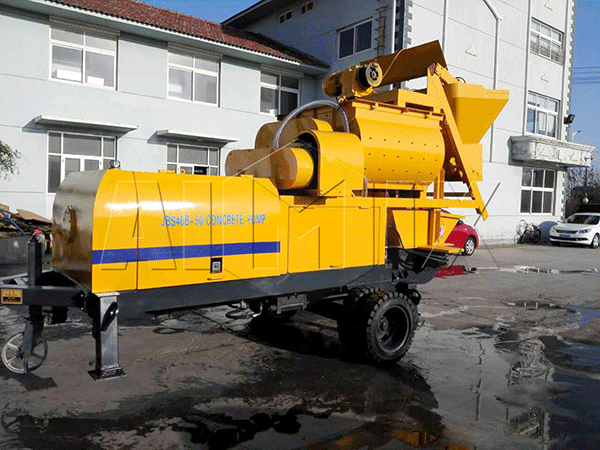 Mobile concrete pump for sale could be vastly used in many fields, especially suitable for narrow construction environment. 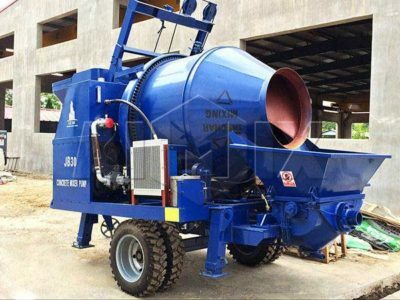 With constant innovation and absorption of advanced technology from the domestic and foreign, Aimix Group has mature techniques and competitive concrete pump price. 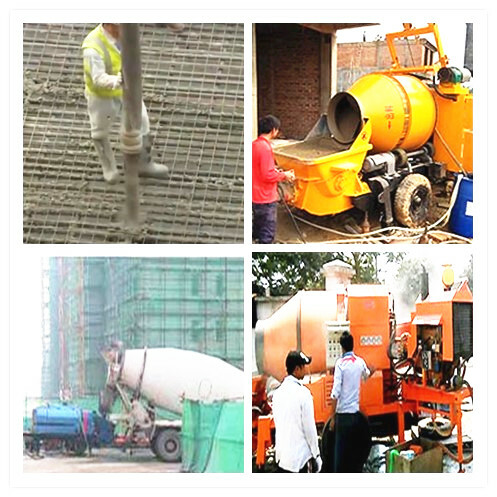 Aimix Group has become a leading mobile concrete pump manufacturer at home and abroad. 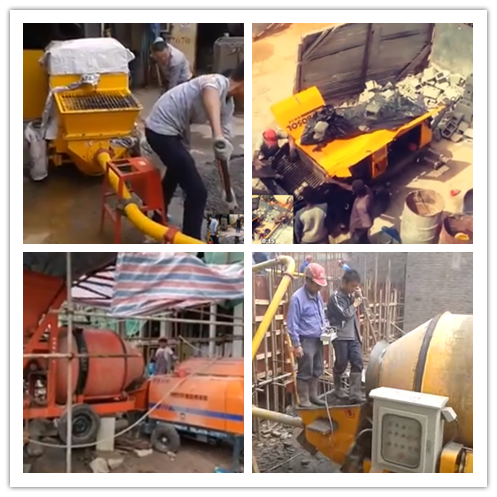 Our mobile concrete pump have exported to more than 80 countries and areas.We can supply high efficient mobile concrete pump with reasonable price and we have ceaseless after-sale service that help clients to solve problem at first time. Moreover customers have experienced great benefit after they purchased our products. Therefore, many customers have established a long term cooperation relationship with our company. 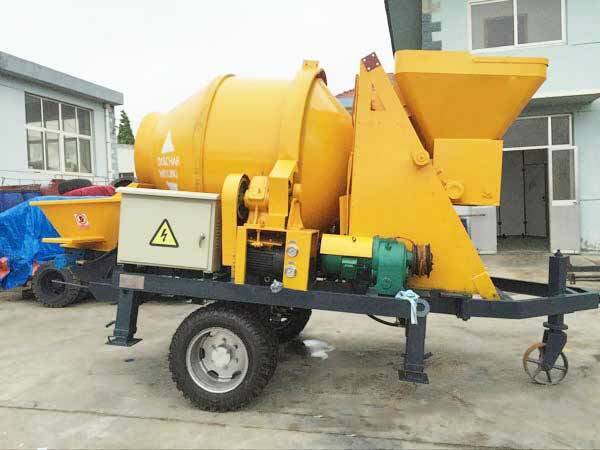 There are various mobile concrete pump for sale, among them mobile concrete mixer with pump and mobile trailer concrete pump are more popular, because their perfect performance, lower cost, easy to maintain and wide application. 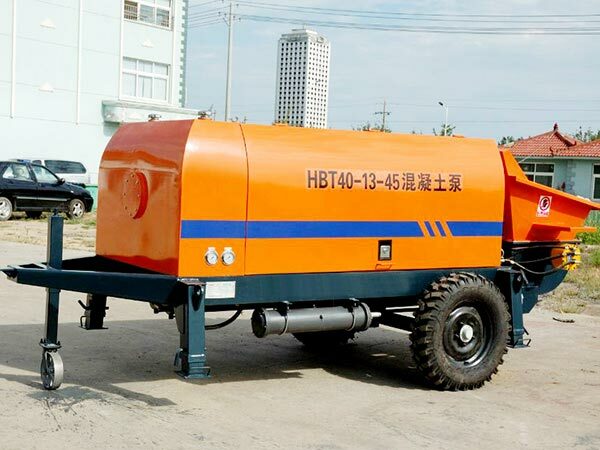 At the same time, there are two kinds of active power portable concrete pump that are mobile diesel concrete pump and mobile electric concrete pump. Generally speaking, mobile diesel concrete pumps have stronger adaptive capacity. It has no limit of electric power, especially in areas lacking of electricity it could work well. 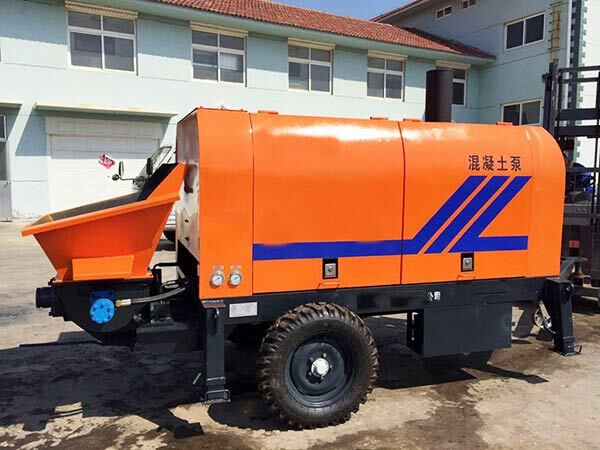 And for electric types concrete pump, it has advantages of lower noise, environmental protection. Electric concrete pump requires electricity to pump concrete, which is much more used in cities. 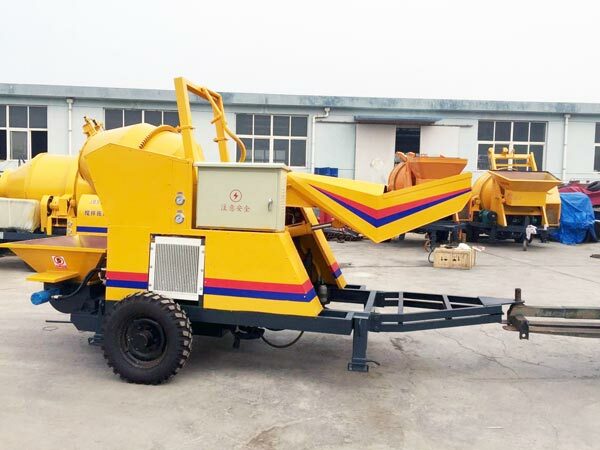 All in all, both of them are high efficient mobile ready mix concrete pump, choosing what kind of types mainly relies on the actual requirement of customers. 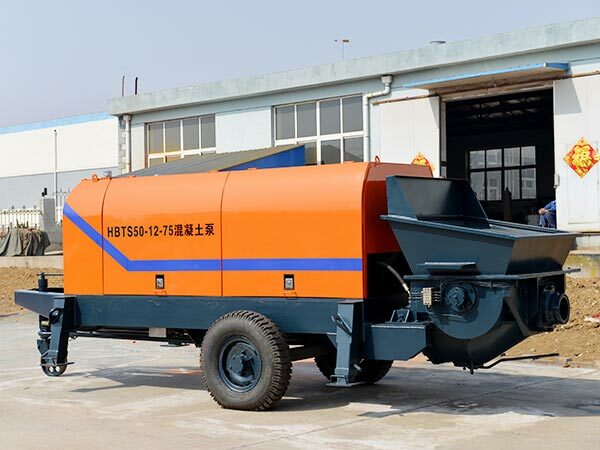 As an important equipment of construction, the right and safe operation of mobile concrete pump directly are related with the process and quality of construction projects. 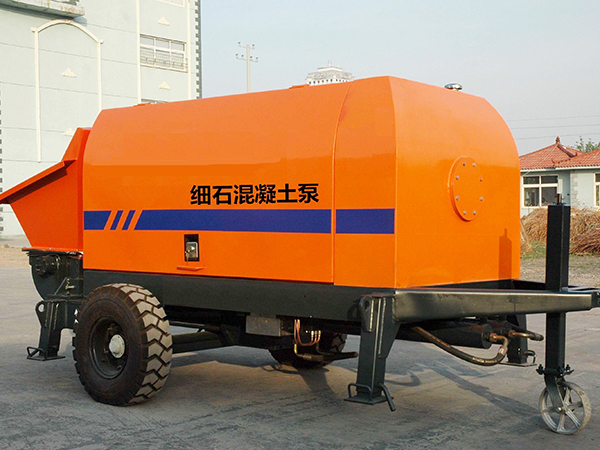 It is necessary to ensure working conditions of mobile concrete pump. 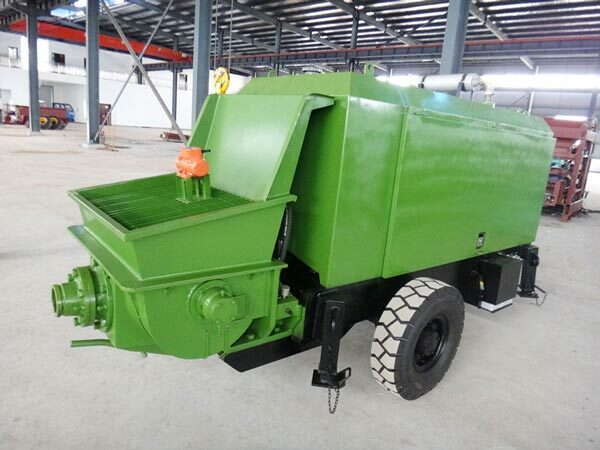 After the mobil concrete pump is connected with the conveying pipe, it shall conduct a comprehensive inspection according to the operation manual of the concrete pump, and only when it meets the requirements can it be started up for empty operation. After 10 minutes of no-load operation, check again whether the institutions or systems are working normally. Note: the purpose of safety inspection before operation is to ensure that the concrete pump mobile is in a safe state, reduce the wearing degree of components and extend the service life of the concrete pump. The temperature has a great influence on the strength of concrete. If the temperature is too high, the water in the concrete will evaporate, causing the concrete in the pump to collapse and block the pipe. And the temperature is too low, the mobility of concrete becomes poor, causing blockage; Therefore, relevant cooling measures should be taken during construction in hot season, such as covering concrete conveying pipes with water-stained materials such as wet straw bags and wet cloth, and timely watering and cooling. When working in cold season or region, it should cover film, grass curtain and quilt to prevent concrete in pipe from freezing. Note: in general, it is not suitable to conduct concrete pouring work when the temperature is below -8 degrees. 1). During the operation of the concrete mobile pump, the small concrete pump should be placed horizontally, the supporting ground should be flat and solid, and the unsafe conditions such as subsidence and tilt should not occur during the operation; In addition, the supporting leg should be stable enough to support the whole machine, and can be locked reliably to avoid accidents in operation. 2). In case of emergency, operators and related personnel should press the emergency closing button of the concrete line pump in time to cut off the electric system of the pump; The emergency shutoff button of the pump truck is respectively set on the control valve of the supporting leg, the wired and wireless remote control system and the control box. 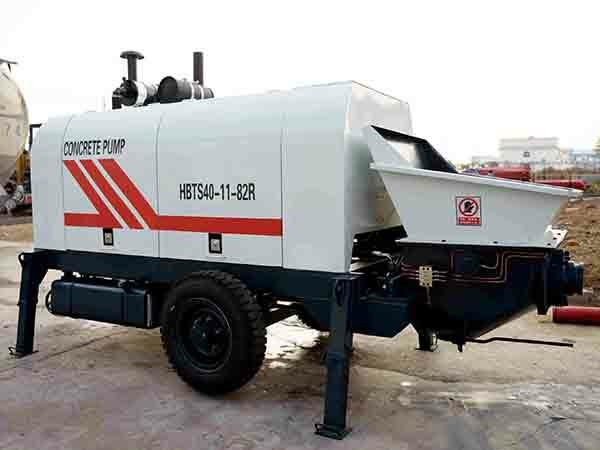 In addition, concrete pumps for sale is easy to maintain, if you use mobile concrete pumping pump in a normal way and follow the instruction when using it. Finally, concrete pump will bring you a lot of convenience and benefit. At the same time, our concrete pumps have adopted function of anti-pumping, so that it could solve blocking problem easily. 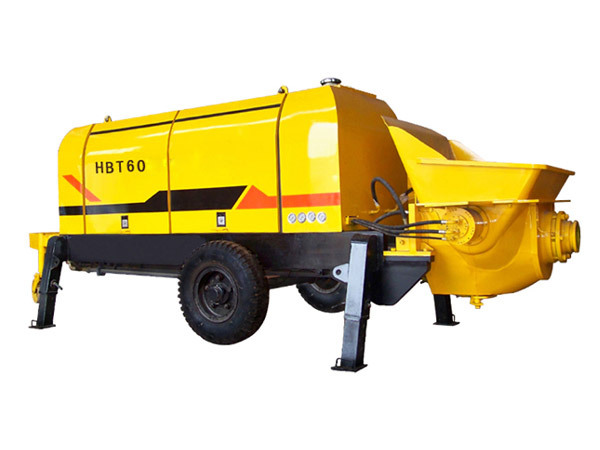 Also hydraulic system is applied to concrete pumps, which has higher pressure so that has faster speed of transferring concrete. 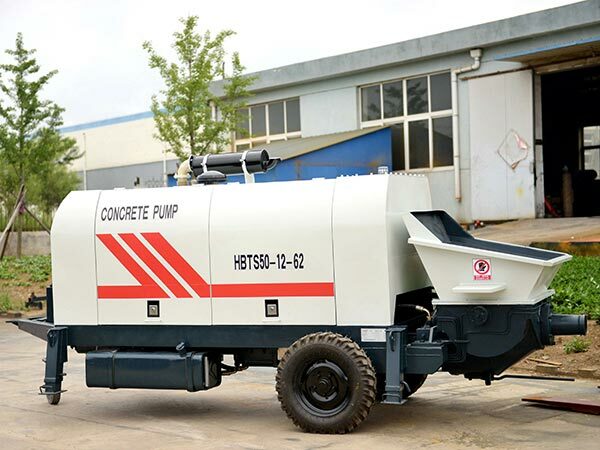 We are one of largest and strongest competitive manufacturers of concrete pump for sale, many customers from many countries have selected our concrete pumps since we have good quality and perfect service. Therefore, we have a large market and good reputation at home and abroad. 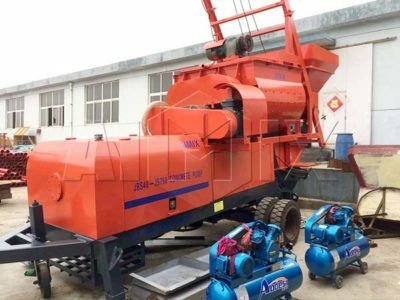 Besides mobile concrete pump, we also offer other high efficient construction equipment, such as concrete mixer truck, self loading concrete mixer, concrete batching plant, mobile concrete pump mixer, block machines, asphalt plant, crusher plant, if you are interested in them or have any question want to ask, you can leave your messages on the website or send emails to us, market@concrete-mixer.net.